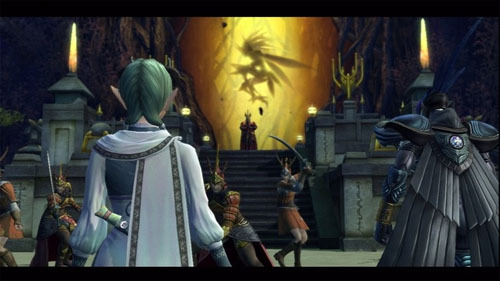 White Knight Chronicles 2 (henceforth WKC2) is the direct sequel to, you guessed it, White Knight Chronicles. Leonard is still the protagonist, toting around the chipper Yulie, dour Elric, and the ever-silent player-created avatar in a quest to save the world yet again. While the game has received some polish from its predecessor, it’s just that: a polish. The graphics look nicer, the battle system is a tad smoother, but WKC2 is largely a game for fans of the first game and as such doesn’t make any huge changes. And there’s nothing really wrong with that. Just be advised that if you didn’t like the first game, you won’t like the sequel, but on the other side of the coin, if you loved the first game, chances are you’ll like the sequel just as much. A mixed blessing of WKC2 is that you start off the game at level 35. Players who completed WKC can even import their characters directly overt to WKC2, which is a nice touch. As WKC is included on the WKC2 Blu-ray, everyone conceivably has this opportunity. For those of us (*raises a guilty hand*) that did not complete the first game, you can create a brand new character at level 35. You start off the game in an airship with a special interactable object where you can completely reset your party members’ skills. So I, for example, immediately got rid of the default sword skills they slapped my avatar with and picked up a bunch of the healing/support skills as well as a little staff combat action. Now, I say that starting off at level 35 is a mixed blessing because even though it feels pretty awesome that you’re starting off the game with all these awesome skills (that I never even got to in WKC), there’s absolutely no explanation on how to play the game. There’s a help menu that provides brief explanations of the basics, but there’s essentially no introduction to the gameplay at all. It is obviously expected that you played the heck out of WKC and you’re ready to continue right where you left off. For WKC vets, it’s probably a relief that you don’t have to sit through the game babying you through stuff you well know how to do, but for those of us who played less than a dozen hours of the first game about a year and a half ago, it can lead to a puzzling hour or two of re-remembering how to play the gosh-darn game. The good parts of WKC certainly carry over into WKC2. 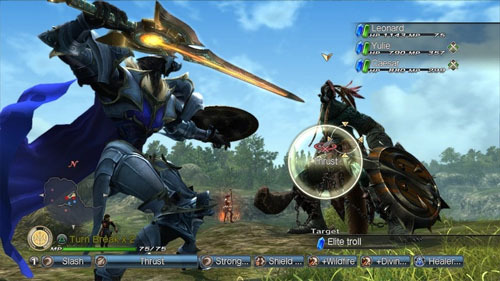 For example, the character customization is still pretty extensive, and the unique combat system is still the same. Similarly, however, the not-so-great parts carry over as well. The combat menu is still unwieldy to the point of being not fun at a times and there’s still often a frustrating lack of guidance. And the co-op is pretty much exactly the same (which means, slightly underwhelming). Which brings us to the co-op.